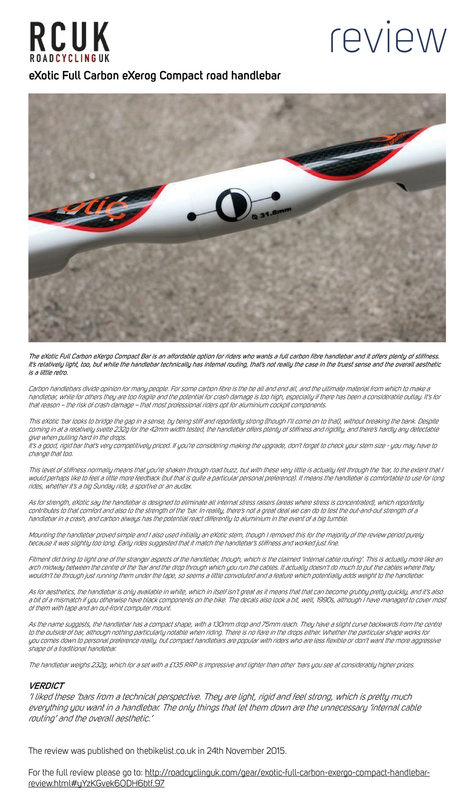 The test crew of UK road cycling website www.roadcyclinguk.com have tested our eXergo Carbon road handle bar. And rather than having a promo specifically on the road bars we will have something better for you. 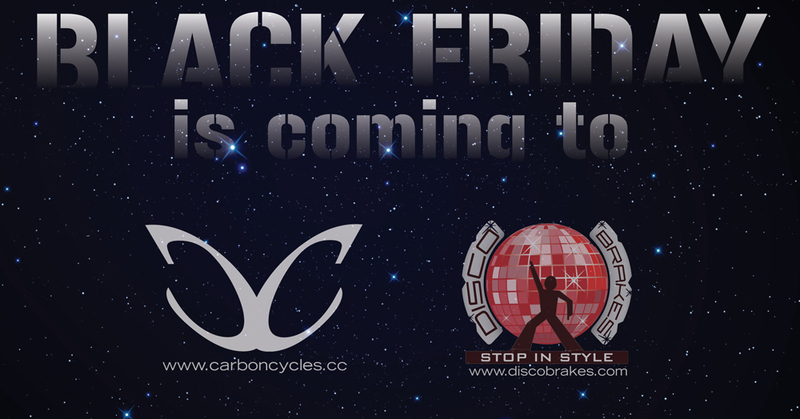 Keep your eyes pealed on www.carboncycles.cc and www.discobrakes.com for some great 'Black Friday' offers.